THERE IS NO PUBLIC ACCESS TO THIS FIELD. PRIVATELY OWNED. 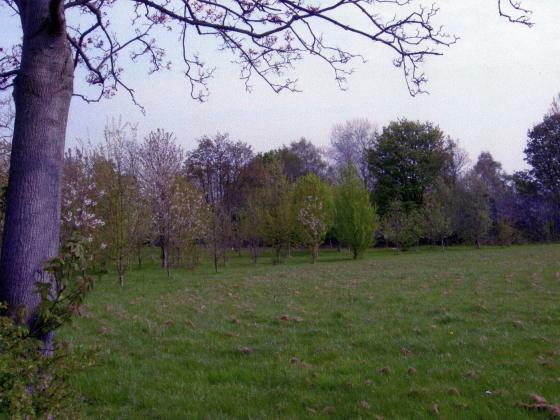 This field has been planted up in one corner with young trees and a large part is mowed. If the grass was allowed to grow it could make a lovely piece of wildflower meadow but it does look part of the adjoining property and its garden. 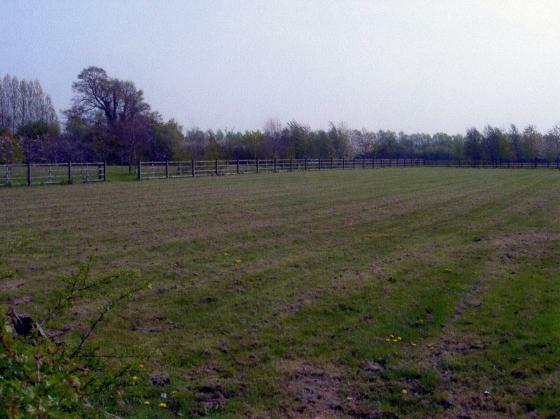 The far side of this field is very interesting as it forms part of the Rothley Ancient Parish Boundary (RAPS) and is accessed from the garden of 201 Swithland Lane. Stint W5 of the Rothley Ancient Parish Survey runs along the rear boundary of this field and is one of the most intact ancient stints. This is a very exciting part of the boundary. 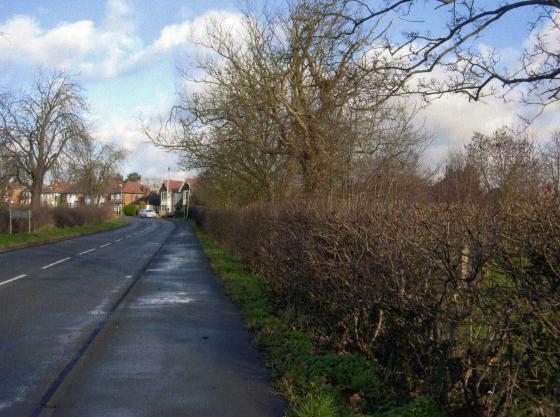 From the end of Stint 4 where the houses finish and the road runs by the side of a triangular paddock on Swithland Lane the boundary runs along the inner hedgerow of the triangle. The stint starts at the entrance of a long, narrow drive down to a 1948 prefab set in a natural garden area. Down the drive is an excellent mixture of hedgerow trees, which have not been cut back or disturbed, the most intact of any hedgerow so far. There is a good ditch with hedgerow species on both sides. There is good evidence of a bank down the length of this stint. At the end of the stint is a pond, Pond 41 Bradgate Wong Pond, which had a good quantity of water considering the lack of rain in the month. 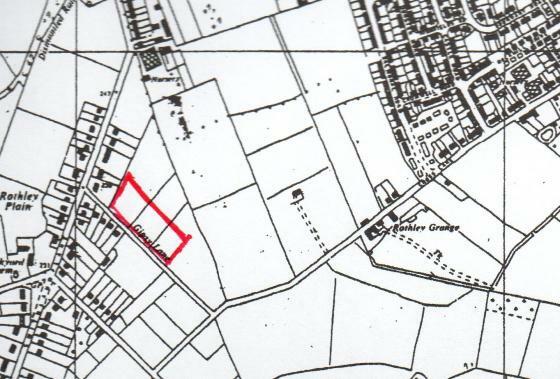 This pond is shown on the 1885 map. To the side of the pond is an Ancient Oak Tree 580 which is not actually on the boundary but it has a girth of 4.2metres so an important tree. The species count gives an age of 575 years. 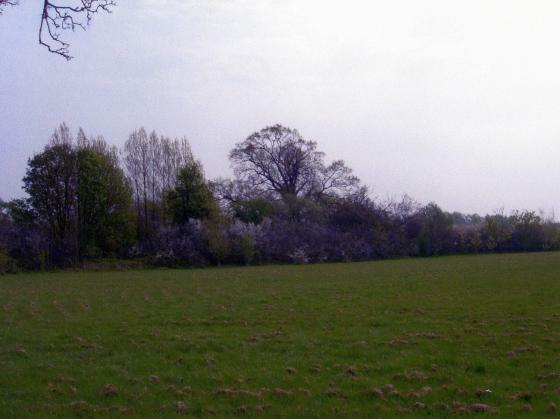 Location:Garden Boundary of 201 Swithland Lane, extending into fields beyond. Map Title: Site 121 Swithland Lane Gardens and Site 273 Calico and Woollen Field. This stint starts off at the end of the garden of 201 Swithland Lane and the first part has all the species as found in Stint W5. Sadly, when we get into the field part, the hedgerow has been decimated and brambles totally dominate except for one stretch, which is bare of all species. Where there is blackthorn in the second 30 metres it has been cut down to I metre in a box shape. 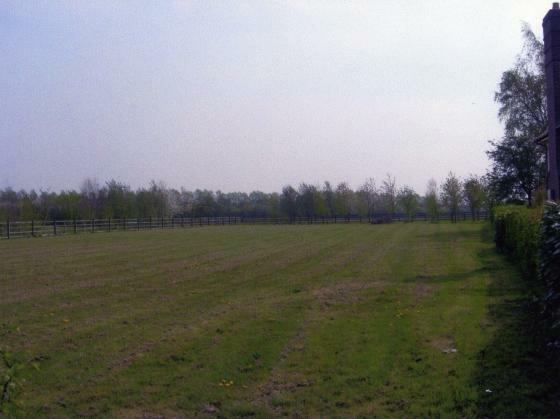 The ditch is still well shown and the horses in Site 273 are fenced in by wire. This is a good example of how an ancient boundary can be lost only a few yards from such an excellent example in Stint W5. This is the start of a long, pretty straight section of the ancient ecclesiastical and current civil parish boundary.